J1b1a1 is a subclade of the J mt-dna haplogroup to which my father belongs. Some refer to the J mt-dna haplogroup as the 'Clan of Jasmine' and to be Middle Eastern in origin and arriving in Europe later than the other major European maternal haplogroups. I think we could refer to subclade J1b1a1 as the clan of Jochabel or Jochabed who was the mother of Rebecca of Flanders and she was also called Sybille. 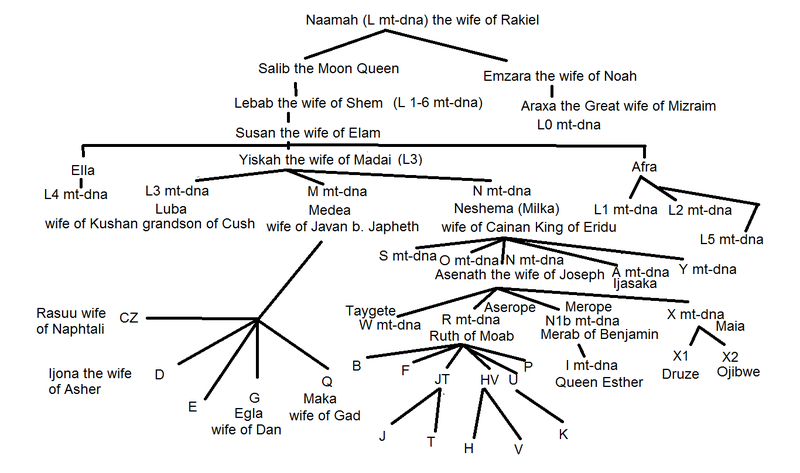 This subclade is Jewish and Flemish in origin and one group of it which we could call the 'Daughters of Rebecca' are Scottish and crypto-Jewish in origin. On familytree dna one American participant Barbara B who is part of a group of related J1b1a1 mt-dna has a genealogy that traces back to Agnes MacDonald Cahan (the granddaughter of Rebecca of Flanders), of the 14th century, on the direct female line. It is most likely that all of J1b1a1 descends from Rebecca or her immediate maternal ancestors. 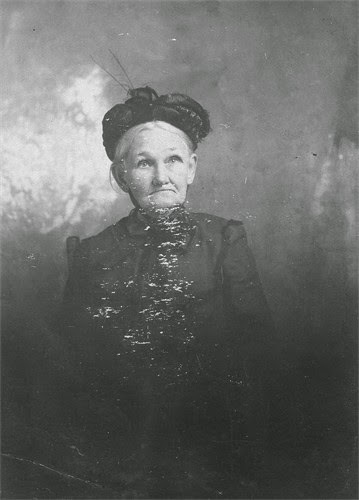 My own paternal grandmother Mabel is J1b1a1 mt-dna who also descends from Agnes and Rebecca. Mabel and Barbara's common direct-maternal line ancestress is Lady Mariota MacDonald of the Isles (wife of Lord Alexander Sutherland) the daughter of Donald the 9th Lord of the Isles and his wife Lady Mariota Leslie of Ross. Lord Alexander Sutherland of Dunbeath had at least three daughters by Lady Mariota- 1. Mariota or Mary who married William Calder, the Thane of Cawdor, 2. Agnes who married Sir William Borthwick and 3.Marjory or Margaret who married William Sinclair. Lord Alexander Sutherland also had an illegitimate daughter by Catherine Chalmers called Marion or Muriel who married Alexander Seton. Recent genetic testing confirms for me that Marjory Sutherland (wife of William Sinclair) was the daughter of Lady Mariota (not Chalmers) as was believed before the 1980's. A researcher in the 1980's first claimed that Chalmers was the mother of the wife of William Sinclair. Confusion was caused by a number of similar names beginning with Mar were used for these daughters of Lord William. Lady Mariota of the Isles and her three daughters were leaders in the aristocratic crypto-Jewish movement in 15th century Scotland. Rebecca of Flanders was the daughter of Guy II de Dampierre and his Jewish mistress Yochebed (also known as Sybille). Rebecca played a part in Scottish history and legend. 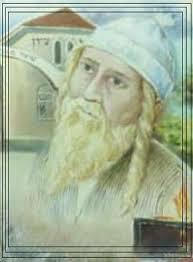 Yochebed was the daughter of Rabbi Samuel de Dampierre whose grandfather was Rabbi Isaac de Dampierre. Rabbi Isaac established a leading Yeshivah in Dampierre. Guy II de Dampierre is remembered as Guy O'Cahan in the Scottish genealogies. Guy was descended from Rabbi Judah ben Meir ha-Kohen (also known as Eudes de Dampierre). Rabbi Judah was the grandson of a Khazar Prince Judah the son of King Benjamin of the Khazars. The title ha-khagan was transferred to ha-Kohen in Europe. Sir Walter Scott's Rebecca, daughter of the Jew Isaac of York (in 'Ivanhoe'), alludes to the real Rebecca who was descended from Rabbi Isaac de Dampierre. Sir Walter Scott's mother knew all the old stories and histories and the genealogies of Scotland which Sir Walter adapted in his writings. Rebecca of Flanders lived during the reigns of King Alexander III of Scots and King Edward I of England and Sir Walter transferred her story a century earlier to York in the reign of King Richard I the Lionhearted of England (and King William I the Lion of Scots). Flanders is also alluded to in many places in Ivanhoe. 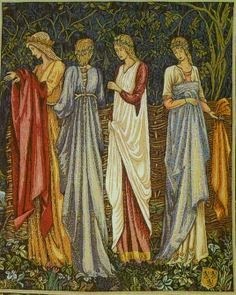 The Flemish entered Scotland in different waves from the 11th century to the 17th century where they establish the cloth industry. Rebecca and a group of Flemish immigrants arrived in the 1280's when the heir to the Scottish throne married Princess Margaret of Flanders the half-sister of Rebecca. 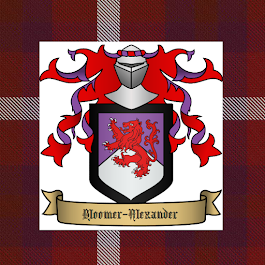 Rebecca's brother Reuben of Flanders was knighted by Alexander III as Sir Robert Fleming when he married the daughter of Sir Malcolm (Moshe) Fleming a grandson of the Flemish Jewish merchant and rabbi, Benjamin of Flanders, known as Baldwin of Biggar. Rav Benjamin arrived in Scotland in the early 12th century. He was a brother of Rabbi Isacc of Dampierre. The Jewish families of Flanders and Normandy to which Rebecca belonged were from merchant families descended from a branch of the Khazar Royal Family and from the Rhodanite or Radanite Jews of France. It would seem that Rebecca of Flanders maternal ancestresses (of J1b1) were probably descended from a Radanite Jewess who moved from south east Asia (south of India) and married into the Khazar Princes. Familytreedna testing demonstrates that Barbara B's mtdna (whose maternal ancestress Elvira McDonald (b.1842 Pickens, Alabama USA) and my cousin George Ba's mt-dna [whose maternal ancestress was Sarah Ann Nunn (b.1858 Brunswick, Victoria, Australia)] match at the level of HVR2 and thus share a common direct line maternal ancestress after 1300 AD. According to the paper trail they share a common direct -line maternal ancestress around 1400. J1b mt-dna ancestresses found among R1a y-dna of the Manessehite Tribe among the ancestors of the Khazars between the 2nd BC-2nd century AD and some went to Africa. J1b1a1 mt-dna mutation may have occurred in China or in the area of the Western Gokturk Khaganate in the 6th century and then came to the European state of Bihar founded by the Khazars in the mid 9th century and then to Western Europe with Sybille the wife of Prince Judah HaKhagan (Cohen) the son of King Benjamin of Khazaria in the 10th century AD to Flanders and then with Rebecca of Flanders it spread to Scotland in the 13th century. The Jewish diaspora and aristocratic intermarriage spread it into other parts of Western Europe. List of Scottish surnames with Jewish Flemish origins. These families maintained a crypto-Jewish identity for many centuries through intermarriage with each other. Other Scottish families were also part of this crypto -Jewish network. looked up Beaumont and Comyn. This led to this. Indeed his ancestor married into the Comyn family long ago. Both Comyn and Beaumont accompanied William the conquerer in 1066. Anyway, Michael Tsarian said this about William Comyns Beaumont. Thank you for an interesting blog of Haplogroup j1b1a1, which also I belong too. I have found ancestors in Sweden early 1600 , Pierre Servais, that came from Belgium. Servais in Belgium comes from Palestine and is according to catholic information, belonging to " the holy family". Freeaswater just got around to reading the links on William Comyns Beaumont a couple of years later. Very interesting. I have never heard of him or his books before. However his date for the comet in 1322 BC is closer to my date 1350 BC for the Exodus rather than Velikovsky's 1500 BC. Hi! I also belong to J1b1a1 mtdna. However I'm hungarian. Also,according to my dna analasys I'm 20% english-irish. Most hungarians do not have any english-irish dna. Is it safe to say I'm also a descendant of the ladies mentioned in this article? Yes it does. You descend from this Flemish-Scottish branch of J. The English-Irish component in your ancestry will be on your direct maternal side some time in the last 800 years. Some of the Anglo-Saxon royal family fled to Hungary in the early 11th century. Queen St Margaret of Scotland was born in Hungary. Your ancestress obviously left the British Isles and moved to Hungary. Many Scottish and Irish soldiers served in the armies of Russia and Austro-Hungary so maybe your ancestress was a daughter of one of them. Wow. I had no idea of this part of hungarian history! A Scottish royal being born there? And possibly be a descendant! Great stuff. Not even mentioning researching the prominent members of the J line! Truly amazing work! Thanks so much! Hi, I'm also j1b1a1, but I'm a Han Chinese live in northeast China. I guess this 'Clan of Jasmine' has nothing to do with me, but still, I'm very curious about my grandmom's grandmom, like how they came so far to China. That is amazing that J1b1a1 mt-dna is in China among a Han Chinese family. I wonder if your maternal ancestress may have been from a missionary family that's daughter got pregnant with a Han Chinese and then the baby girl was given to his family to rear? 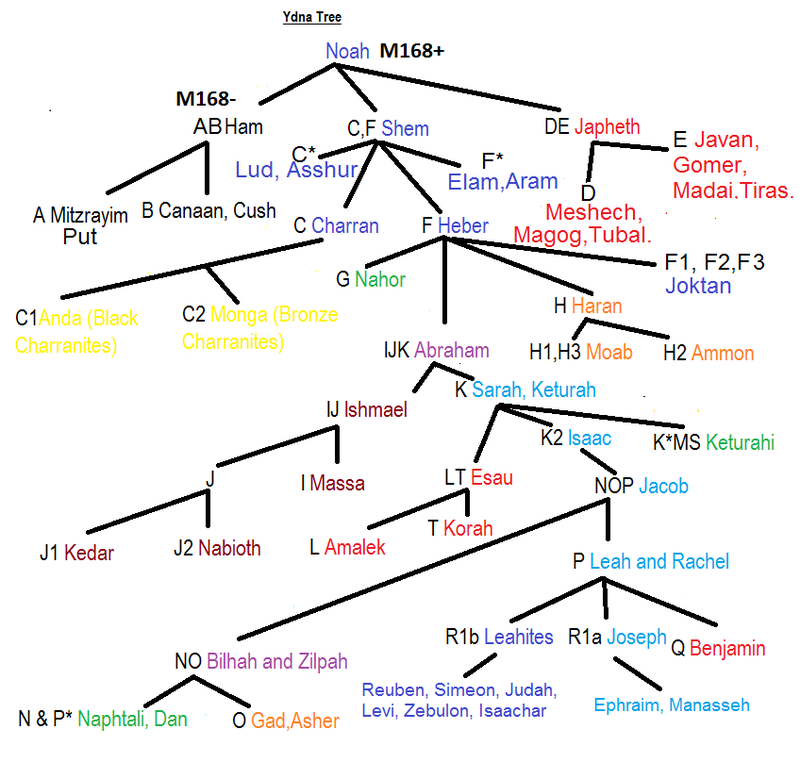 Does your family have any rumurs of Christian or Jewish ancestors? The interesting part is that as far as I know, all my ancestors were Han Chinese who lives in north China for many generations. And my grandma, my mother and I also look like ordinary Chinese. So I suppose this grand grandma of mine maybe a wife of a European businessman, they came to China by the Silk Road during Tang Dynasty (AD 7-10 century). Or she was captured by Mongolians and brought to China during the chaos situation in Yuan Dynasty (AD 13-14 century). And I assume this mysterious grandma could not come to China after Yuan Dynasty, because the authority banned all kinds of trade activities with foreigners over the sea after that. But still, all of these are my assumptions, I don’t have evidence to prove that. If you have any history evidence about J type move to China, I would be very grateful. Such a fascinating story as women did not travel as much as men so it is very very interesting. Your Chinese J1b1a1 may go back as far as the 6th century in China. And this is most likely the place where it branch off from j1b1a. Considering I'm from Rebecca of Flanders' line, you would think i'd have jewish percentage? You said I belong to the flemish/scottish line sometime on my mothers' side in the past 800 years. So the jewish percentage could have been diluted genetically from our female line since they married scottish nobility? I thought the mtdna was an unbroken chain from mother to daughter. Also ,you mentioned Saint Margaret of Scottland was born in Hungary so I could be part of that connection( was she also J1b1a1?) or through a scottish soldier who served in the armies of Russia or the Austro-Hungarian empire and my ancestress was a daughter of his. So genetically speaking is it possible to inherit this line through a man? I thought it only passes from mother to daughter? If a scottish soldier married a hungarian woman wouldn't I inherit the hungarian womans' female line? Also, from what I gathered about mtdna, my mother, my grandmother and every female on that female line belongs to the J1b1a1b in my family? What do you think is the extra letter "b" on my line? Does that mean that at one point when my ancestors leave the british isles an extra mutation occured when they were already in Hungary? Also, I assume it's impossible to know how many years did my ancestors spent in Scottland( or when this line J1b1a1b branched off?) Thanks! Dear Emily , Thanks for your comment. Those tests for ancestry percentages need to be taken with a pinch of salt. Also the algorithm they use for identifying Jewish ancestry only refers to certain groups of eastern European Ashkenazi Jews. Also these ancestry tests are based on autosomal dna which only goes back about 5 or 6 generations. It is possible that your ancestress was the daughter of a Scottish soldier serving in the Czarist armies in the Russian Empire. Whole Scottish and Irish families moved east to the Russian Empire as did my direct paternal line who served in the Russian army in Estonia under General Orurk (who was a Russian general of Irish ancestry). Emily the 17 percent of Gaelic (Irish /Scots) ancestry probably means that one of your grandparents probably had a parent or grandparent from the British Isles. It is possible this would be on your maternal mother's line. How far back have you traced your maternal line? Emily,I would say that your maternal line was in the British Isles (most likely Scotland)from the 13th-16th or 17th centuries and that they moved to Eastern or Central Europe (Hungary) in the 18th or 19th century. Emily, there were also a number of Scotsmen who served in the Austro-Hungarian army in the 17th century as well. This is a very interesting read, i am haplogroup j1b1 - subclade j1b1a1, i was born in Yorkshire, England, UK.